October was a great month, with lots of celebrations and two breaks away. 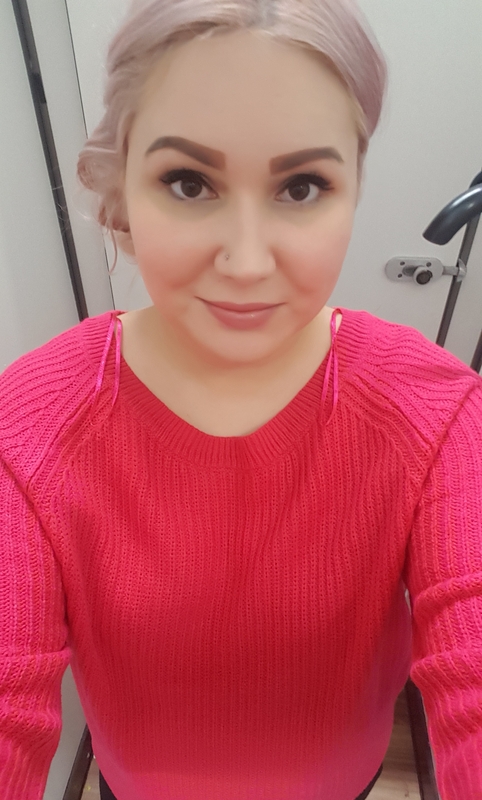 So here’s a look at my October favourites. 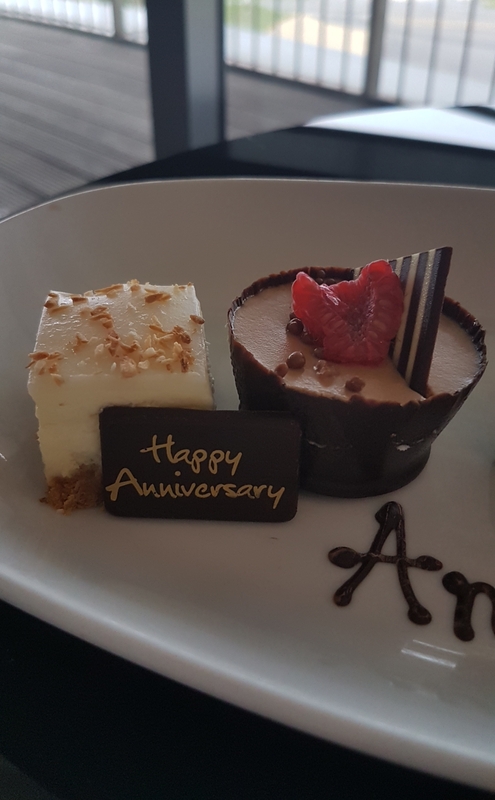 In October, me and my partner celebrated our fifth anniversary. 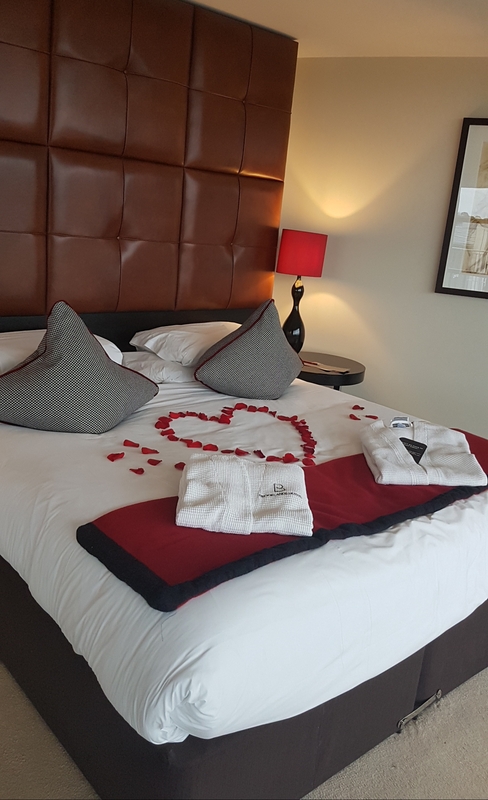 For the occasion, we stayed in our favourite suite at Brooklands Hotel. 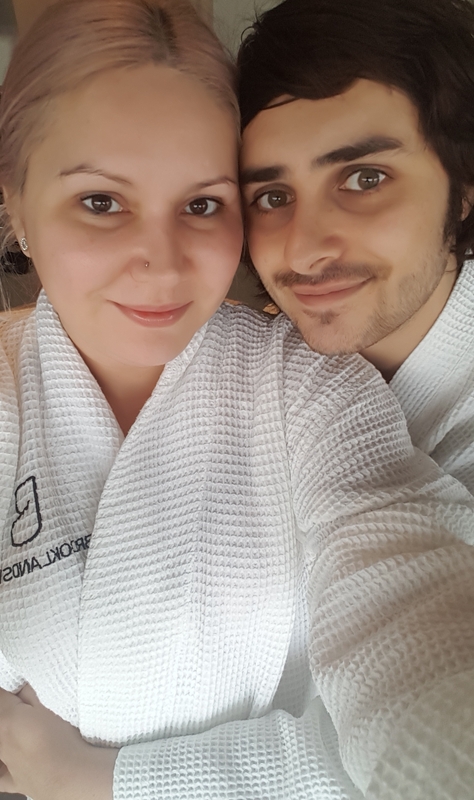 We had a couples spa day, headed out for dinner and made the most of a relaxing and romantic weekend away. The day after our anniversary, we went to Garsons Farm. 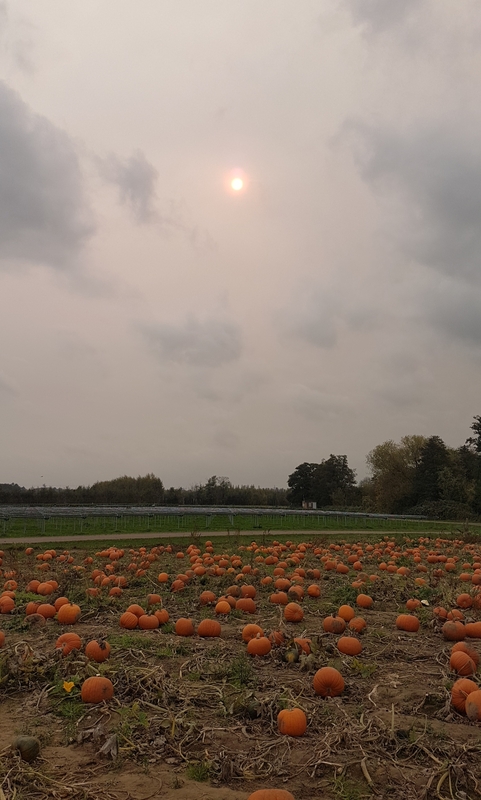 We’d been there before for fruit picking in the summer, but this time we mostly went for the pumpkin patch. 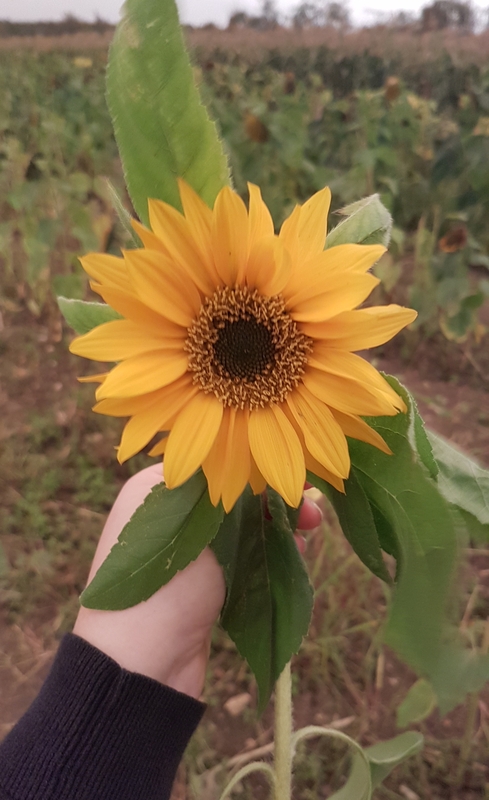 It was our first time pumpkin picking, but we also picked our own flowers and vegetables, which was a lot of fun. New York’s a place we’d both wanted to visit for a while, so I booked us a trip there to celebrate my partner’s birthday. We had a truly amazing time visiting as many famous sights as we could, exploring and eating good food. We’d both love to go back. I always pick up fridge magnets, postcards, mugs and other bits on my travels, but I got a couple of cute souvenirs. 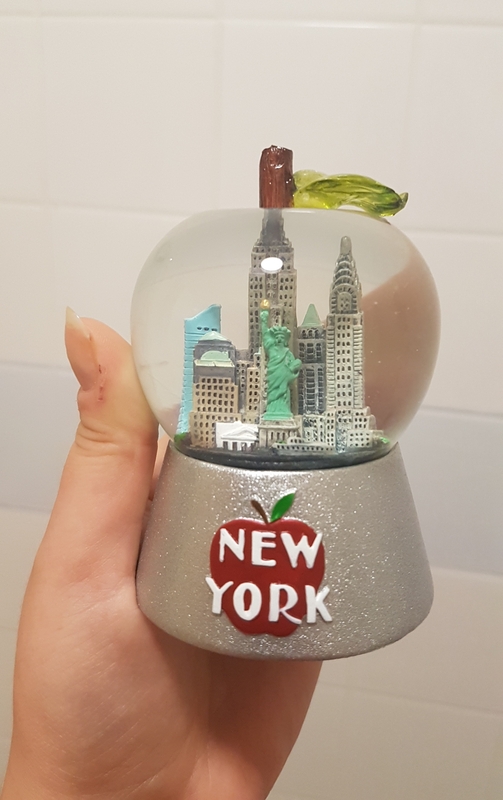 The first is this apple shaped snow globe. 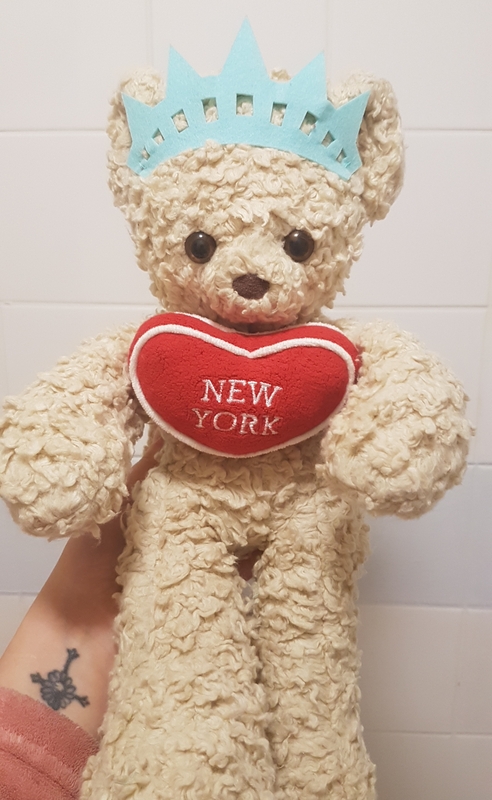 A cute teddy from the Statue of Liberty gift shop. 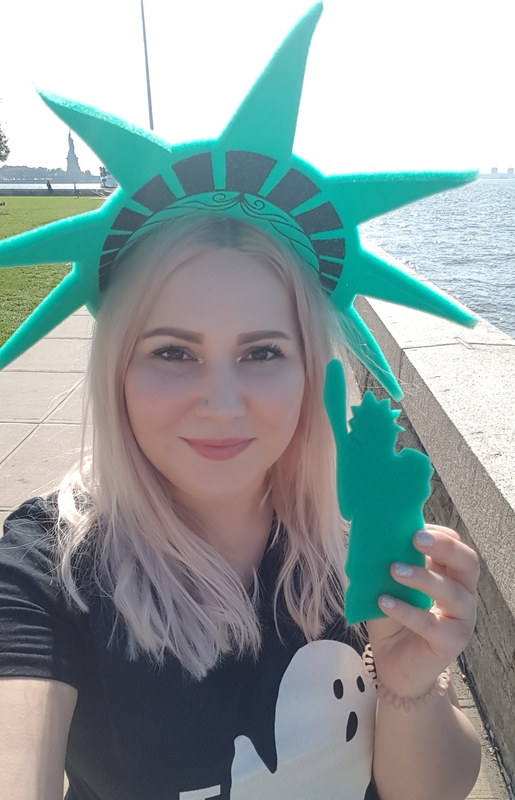 And my very own Statue of Liberty crown. 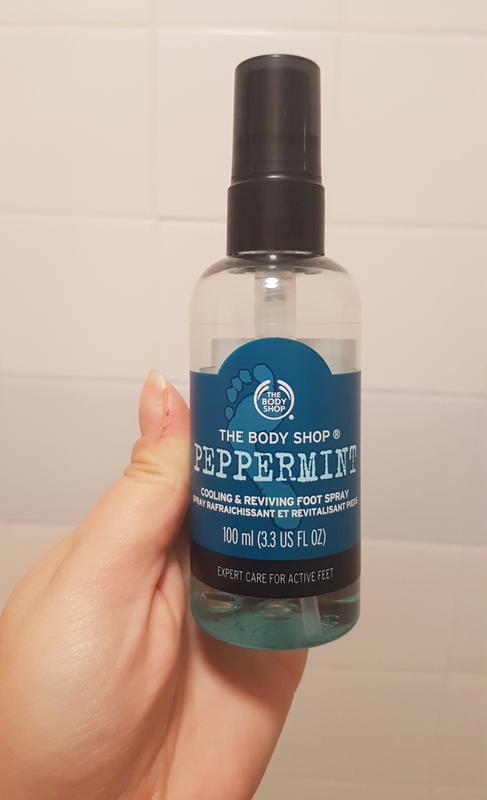 I bought some sprays and foot products from The Body Shop to use during the summer, but I only started to use this Peppermint Foot Spray in New York. It’s great at numbing, cooling and soothing aching and tired feet. 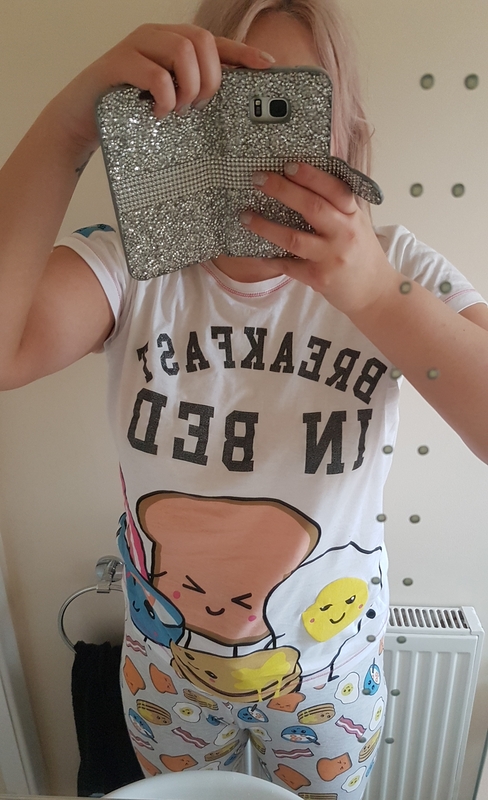 I got these super cute pyjamas for my birthday and they’re my current favourites. I love the fun design. 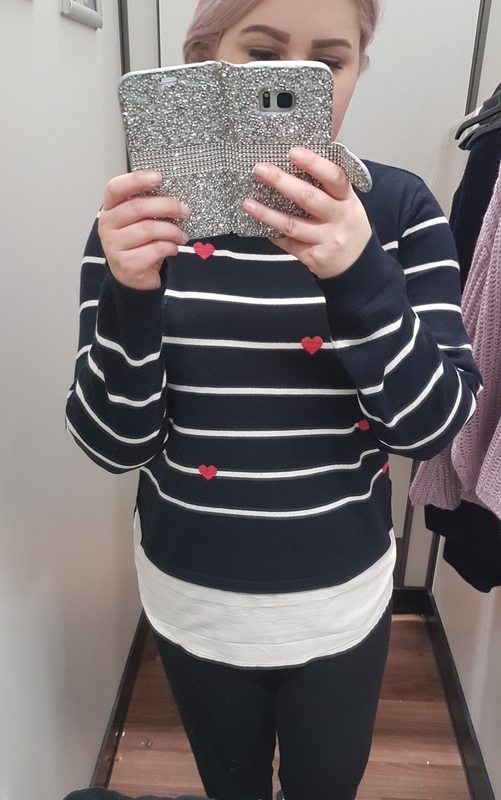 My family gave me money for my birthday, which I recently spent buying new clothes. 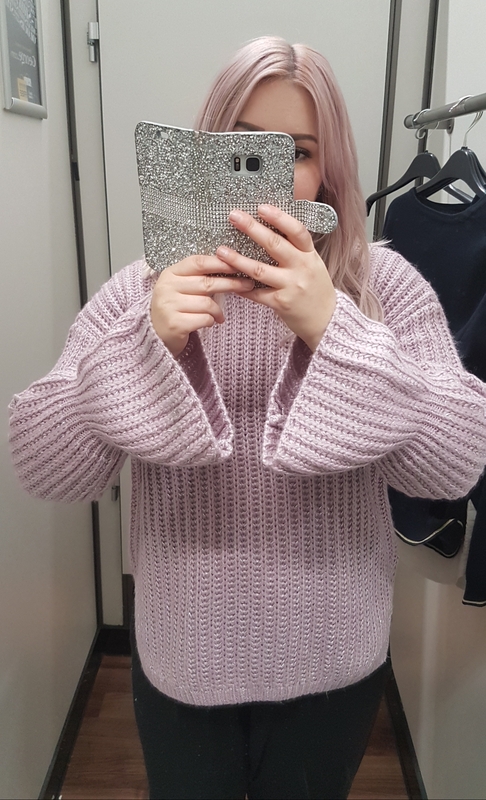 I don’t go clothes shopping often, so I love my new winter tops and jumpers. So that’s my October favourites. Let me know what you’ve been loving lately. You look like you had the best month! I loved New York so much and want to go back in a non-winter season to see the city in a different way! 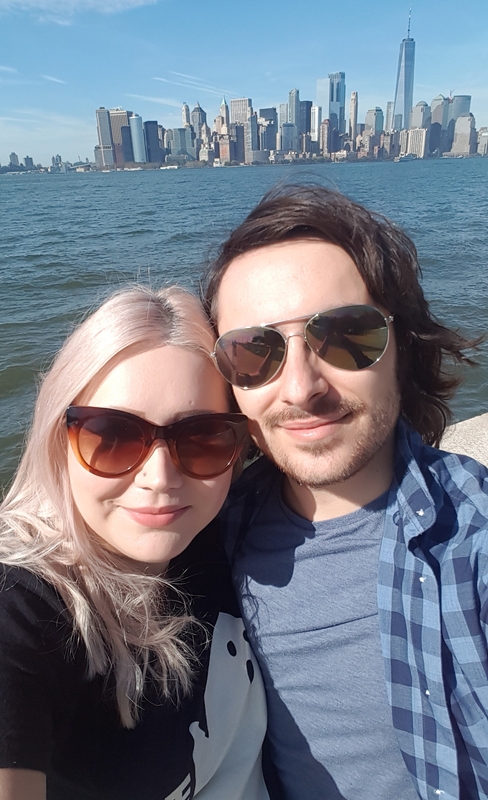 I’d never have thought the weather would be so good in October, I’ll have to rememeber that for future, I’d like to go again before we have children! 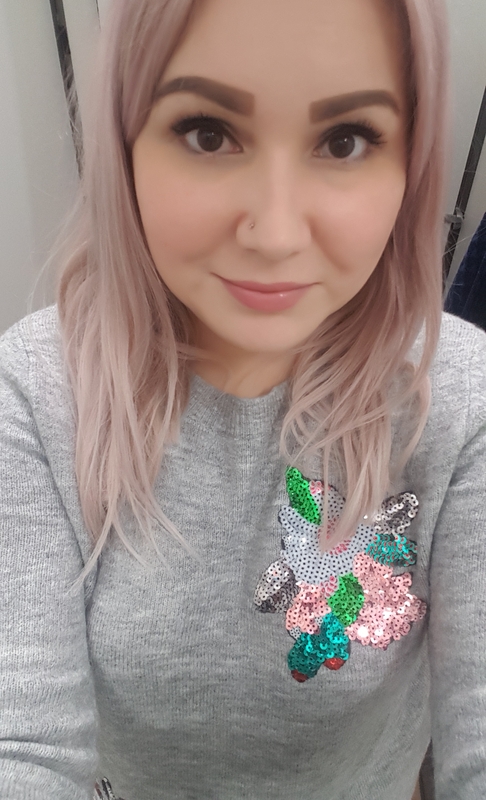 I loved all the jumpers you got the heart one is my favourite! We visited in January/February – it was very clear weather whilst we were there, Central Park had snow the week before so we got to see everything snowed & iced over without actually having to deal with walking in the bitter cold, but I’d like to see central park when the trees aren’t bare, and do the highline in nicer weather! 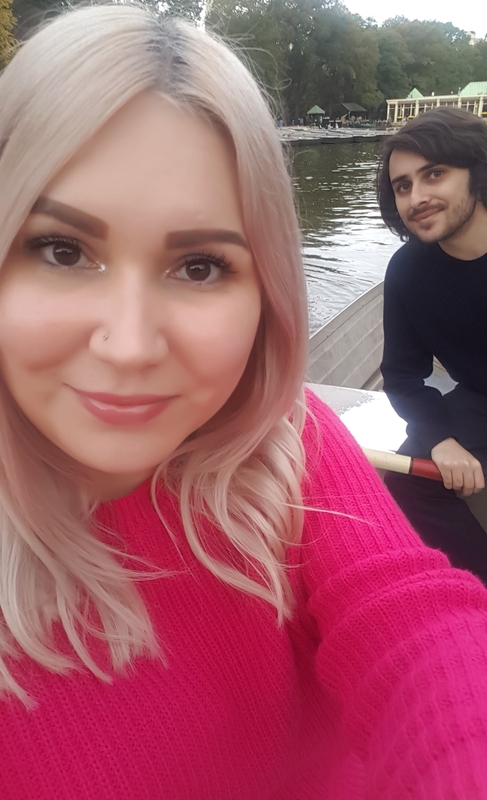 Yeah whilst Central park was beautiful in winter, it would be completely different seeing the park in spring or summer when there’s more colour. 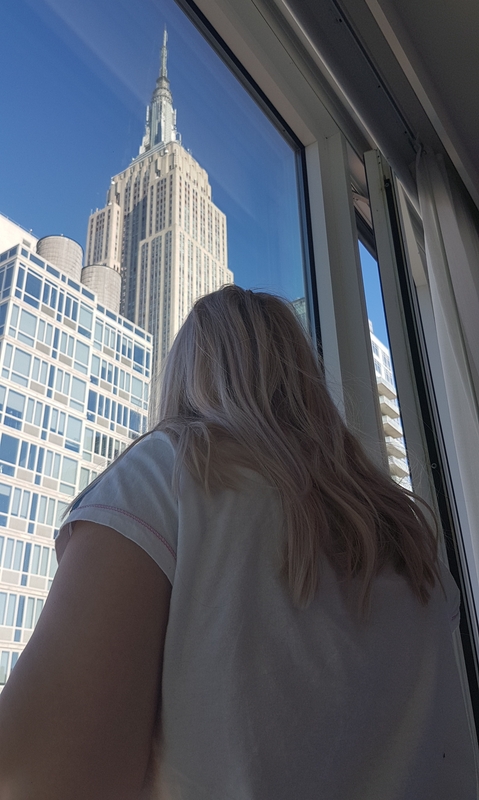 Oh and I forgot to say we must have stayed in a very similar location we could see the empire state building from our room too! Just looked on Google Maps, 6 minute walk from each other, basically empire state in the middle of the two! I picked up an Empire State building pencil sharpener one time when I was in NYC. My SO just tossed it out recently – too many knickknacks! I said it before but Ahh those PJs are adorable! Those pyjama bottoms are super cute! 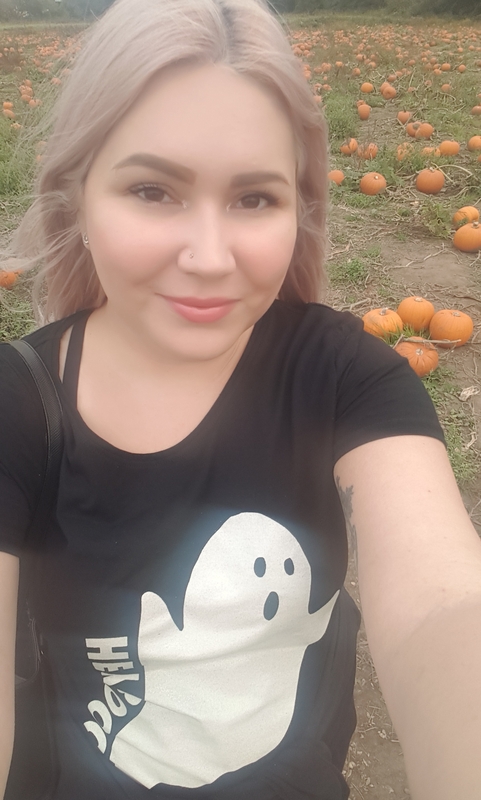 Yay pumpkins! Did you do a design? Even your PJs make me hungry hahaha! 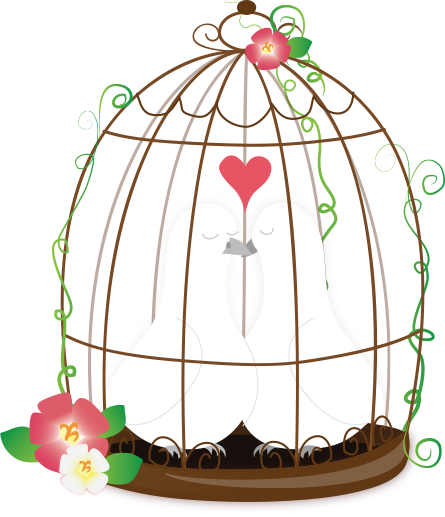 Happy anniversary and happy bday to your partner! Pics of decorated pumpkins please! We don’t have any here! hahahaha! OMG! The post is amazing! Congrats! I would like to visit New York soon! Can’t wait to hear your candid opinion!